Valentin Sandoval received the first ever award at UTEP for Independent Filmmaking in 1996. 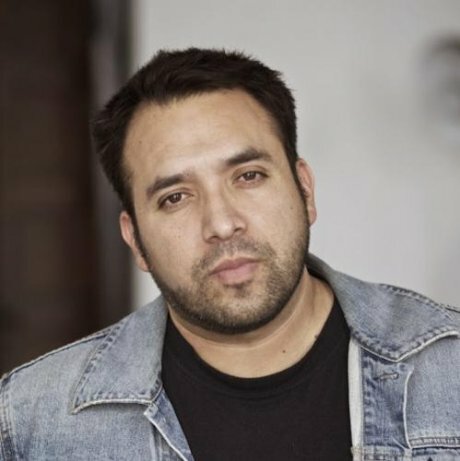 He won 1st Place for Documentary at UTEP’s International Film Festival 2006 and The Rasquache Film Festival, where he received an award for Best Documentary for the film “Clamor”. The awards allowed Valentin to work on industry films that came into El Paso through 1996-2002. Sandoval became SAG eligible at the age of 21 in the film “On the Border,” where he acted with Pedro Armendarez, Jr, Brian Brown, and Daniel Baldwin, to name a few. He then worked as a lead actor in the acclaimed Cuban playwright Maria Irene Fornes’ play, “The Conduct of Life”. He went on to act on multiple plays in El Paso, and was the co-creator of a comedy troupe, “Chuco Town Raize,” that performed in Austin. Sandoval then went on to work at Univision as a TV show Producer for four years. After that experience he began his career as a freelance multimedia content creator for Texas, and New Mexico political campaigns ranging from Juarez mayoral races, to Senator Shapleigh’s campaign against Dee Margo, and Senator Linda Lopez in New Mexico as well as the governors’ race with Gary King going up against, now governor, Suzana Martinez. He then worked with the SEIU and Mi Familia Vota (America’s largest voter registration non-profit) to create a documentary process, archiving the “Get the Latino Vote Out” for President Barrack Obama’s reelection campaign. The project required him to travel to 24 cities throughout a 3 month duration with famed organizer Dolores Huerta. He was named “the most important Latino you don’t know about” by The New Yorker. South Sun Rises: A Bilingual Poetic Narrative of the Borderland. Santa Fe: Sherman Asher Publishing, 2014.